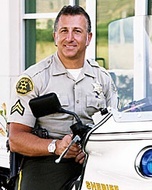 Hagop Ohann "Jake" Kuredjian, a 40-year-old white male, died Friday, Aug. 31, after being shot in Stevenson Ranch, according to Los Angeles County coroner's records. Do you have information to share about the life of Hagop Ohann "Jake" Kuredjian? The Homicide Report needs your help. E-mail us at homicidereport@latimes.com.